Taken from a multi story I parked on for Jury Duty last week. I imagine they’re kept in a cage to prevent vandalism/theft during long term parking. Yes, that is my dual sport right next to the cage. 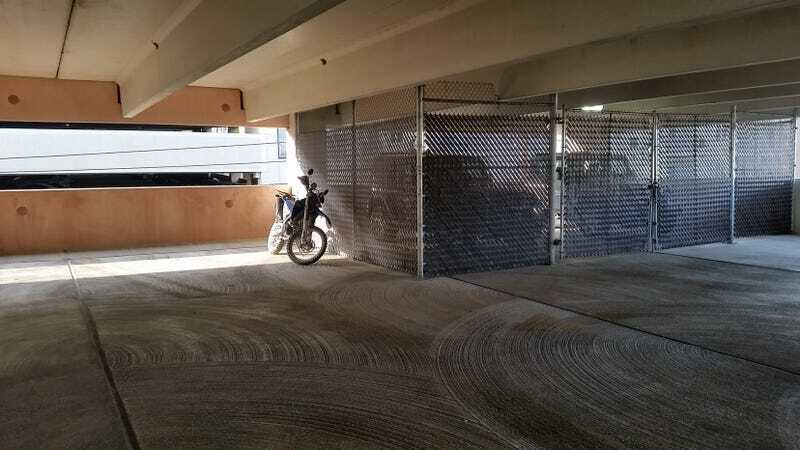 Very happy to confirm that the parking deck entry gate (eventually) detected my motorcycle and lifted so I could enter.